Prime Minister Justin Trudeau's office says he has spoken with the man Canada and many of its allies consider the legitimate leader of Venezuela. 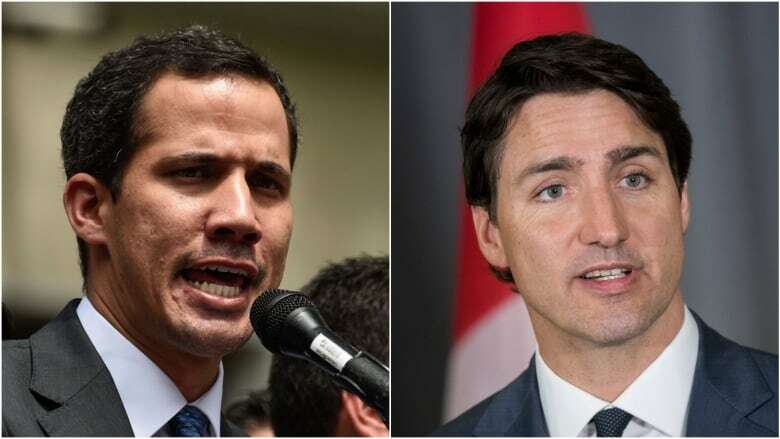 Trudeau's office says he spoke with Juan Guaido about the need for countries to send a clear message about what the PMO calls "the illegitimacy of the Maduro regime." A statement from the PMO says the two also discussed the need to respect Venezuela's constitution and to have free and fair presidential elections. "The prime minister commended Juan Guaido for his courage and leadership in helping to return democracy to Venezuela and offered Canada's continued support," the statement read.